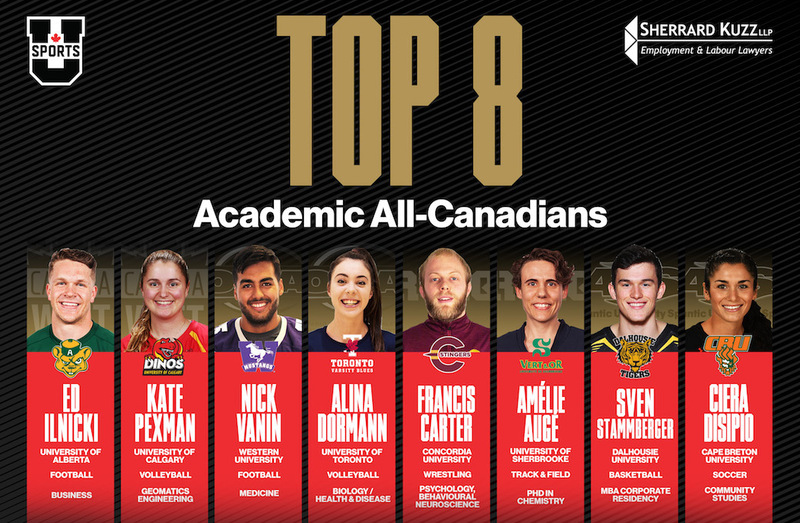 Every year, hundreds of U SPORTS student-athletes balance academics and athletics, always working towards finding a way to excel at both. 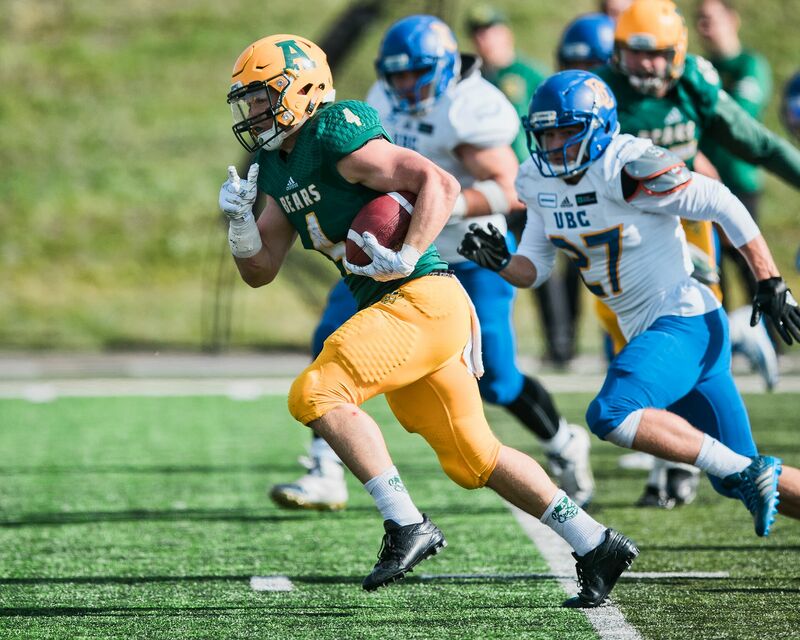 For Concordia wrestler Francis Carter and former Alberta football running back Ed Ilnicki, excelling only begins to describe their achievements in their respective sports and in the classroom. Carter and Ilnicki were both nominated in June for the 2018 BLG Award for U SPORTS Male Athlete of the Year across all sports. Now, both have also been named Top 8 Academic All-Canadians for their success in their studies, and will be honoured by Her Excellency the Right Honourable Julie Payette at the Governor General’s Academic All-Canadian Commendation on Jan. 29 at Rideau Hall in Ottawa. 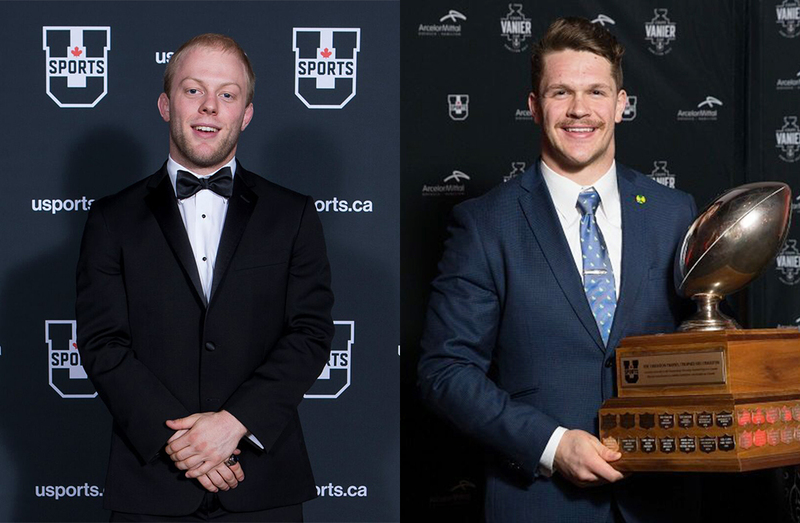 Together, the two awards represent the highest honours given to U SPORTS student-athletes. Carter was named the nation’s most outstanding male wrestler after capturing gold in the 68 kg division, helping the Stingers earn the team silver medal at the 2018 U SPORTS Wrestling Championships in February. 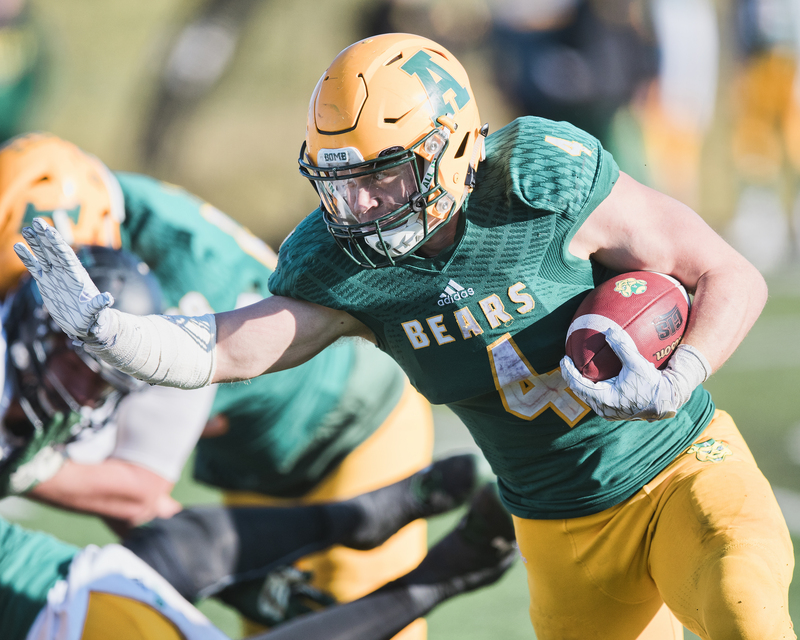 Meanwhile, Ilnicki won the Hec Crighton Trophy for the top football player across the country in 2017, after setting a Canada West rushing record, becoming Alberta’s all-time rushing leader and leading U SPORTS in rushing touchdowns and carries, en route to the Golden Bears’ first postseason appearance since 2010. Ilnicki is also a four-time Academic All-Canadian, so balancing the classroom and the field has always been a part of his efforts. Despite the medals on the mat and the trophies earned on the gridiron, it is in the classroom that both Carter and Ilnicki derive the most pride. 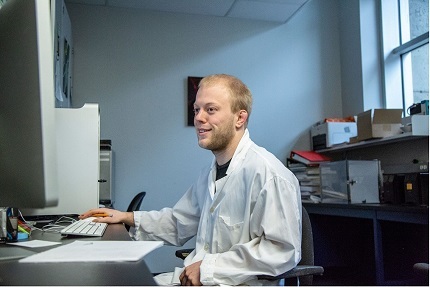 For Carter, who studies behavioral neuroscience, the work he puts into his academics translates directly from the attitude he brings to his sport. “Every time I walk onto a wrestling mat for match, I really want to feel the confidence, so I want to know that I’ve trained enough to support that confidence,”explains Carter, who sported a perfect 4.3 GPA last year. Ilnicki has since graduated from the U of A with a degree in finance following his MVP season. After being drafted by and trying out for the CFL’s Ottawa REDBLACKS this past summer, he’s decided to take a break from football to focus on his career – working at Brightside by ATB Financial, a digital bank that Ilnicki joined back in September 2018. Ilnicki first discovered his interest in finance at an introductory class during his second year. “Intro to Finance at the U of A is such a massive class, it's almost 500 people,” says Ilnicki. “We were going through the material and I just found it interesting and it was so applicable to everyone. I immediately wanted to learn more about the topic and understand it better." Carter and Ilnicki both share that their interest and focus in school didn’t come right away. For Ilnicki, it took about a year to figure out what system worked best for him. “My first year was a bit of a ‘wow’ factor of getting used to how to organize yourself,” says Ilnicki. The skills that Carter and Ilnicki value in their sports are the same that help them in the classroom and being able to translate that mindset over has been a big part of their success. Both are quick to point to their coaches for giving them the support that they needed. 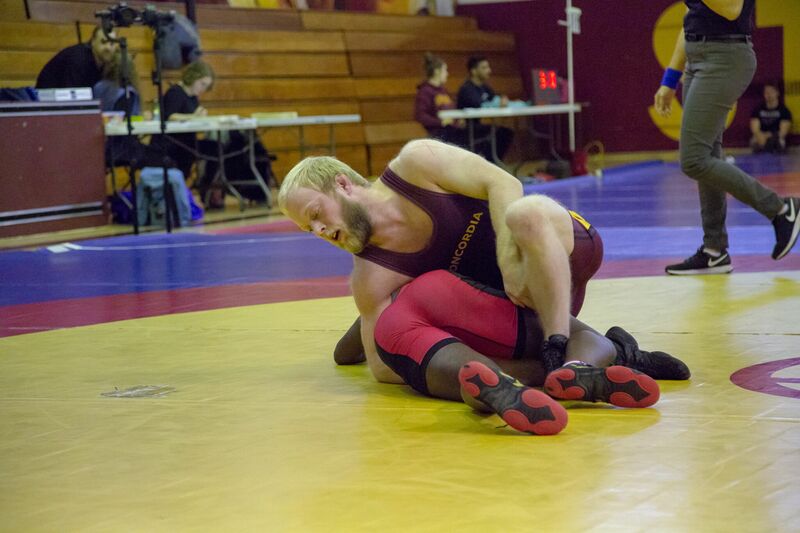 For Carter, Concordia wrestling coaches Victor and David Zilberman taught him how to bring the same kind of focus to every aspect of his life. “Both of them have a huge focus on the mental aspect of the game, and view that mental aspect as not just a part of wrestling, but a part of life,” says Carter, who was also awarded a $2,250 bursary as the Molson Foundation’s top academic male athlete in Quebec. 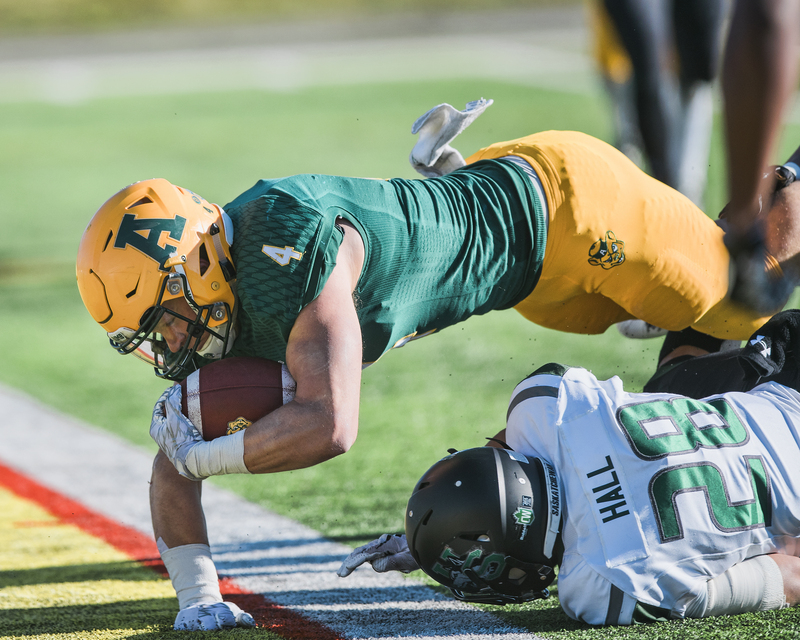 Ilnicki credits Golden Bears football head coach Chris Morris for giving him the support and flexibility to focus on school on top of a grueling training schedule. Now that Ilnicki has completed his studies, being named a Top 8 Academic All-Canadian has given him a chance to reflect on his U SPORTS career. Matthew is a third-year journalism student at Concordia University in Montreal. 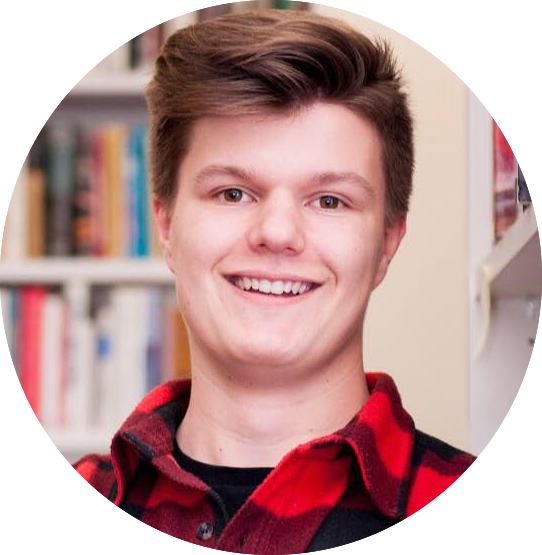 He's the social media coordinator at the university's campus newspaper, The Concordian, and has been featured in publications such as The Globe and Mail, Avenue Magazine and WestJet Magazine. This is Matthew's second year as a U SPORTS correspondent.